So, I had last Friday off, and I promised some pictures of what I did all day. 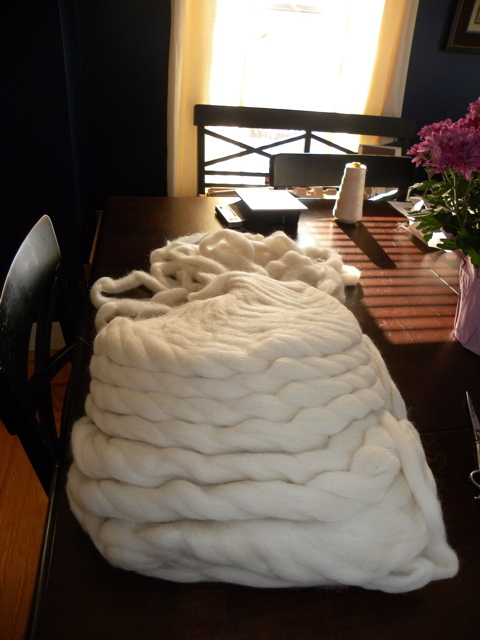 I started off by unwrapping a pound of Alpaca/Merino wool. The above picture is both of those balls you saw. So it’s 8oz layed out evenly, waiting for dye. 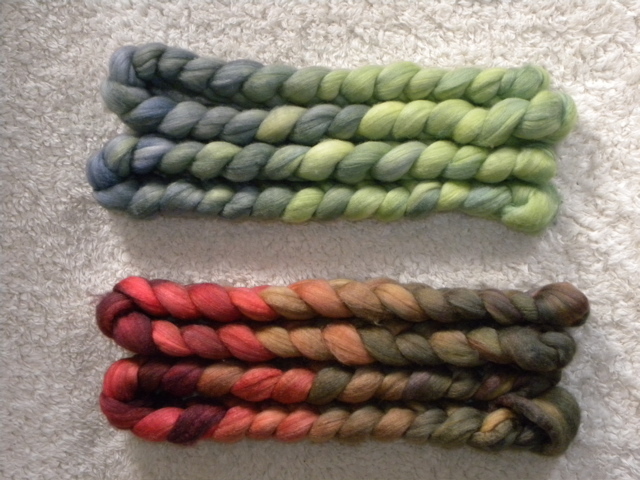 I squirt the dye onto the roving with squirt bottles or a syringe. Here it is half done….. 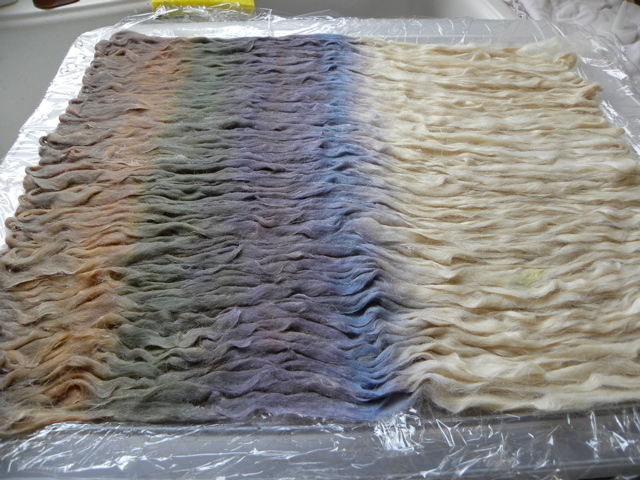 This Aplaca roving is about a quarter of the thickness of the usual roving I dye, and it was sooo much easier to get the dye spread evenly throughout the fiber. The roving is wrapped in the colander at the bottom of the picture. The pot at the top contains different roving I dyed that same day in a different way. I have a sad story about the roving at the top. But first, would you like to see how the Alpaca turned out? The two on the left are the ones you have been looking at pictures of. You may be thinking it looks quite different than you expected…..me too! 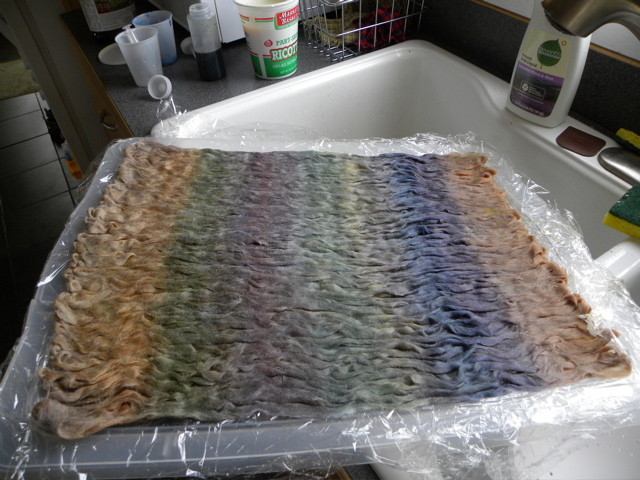 I am always surprised to see how different roving looks when it dries. It’s so much darker when wet, and misleading. But this time, I’m happy with the final product. I dyed the blueish-gray one the next day and I love them both. 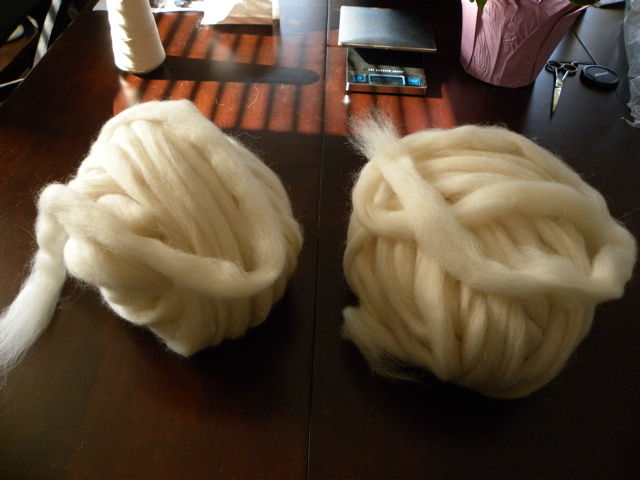 The Alpaca is super soft and fluffy, and I’m itching to spin them into yarn myself. So, remember how I said I had a sad story about the other roving? 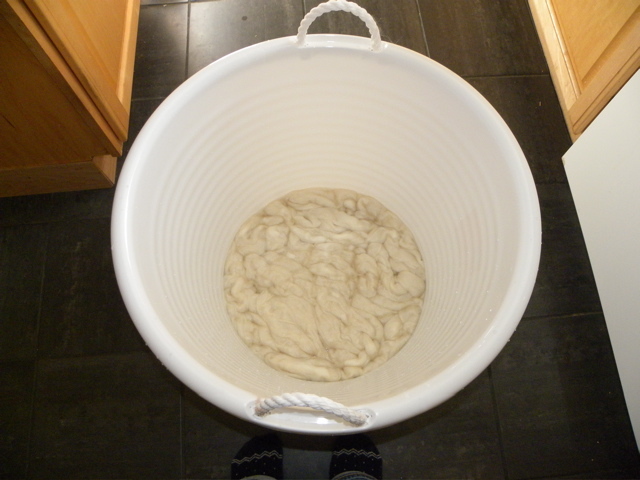 Well, it started out a beautiful mix of Merino and silk…like melted butter. So soft and slippery and wonderful I think it was more fun to rub against your face than to actually spin. 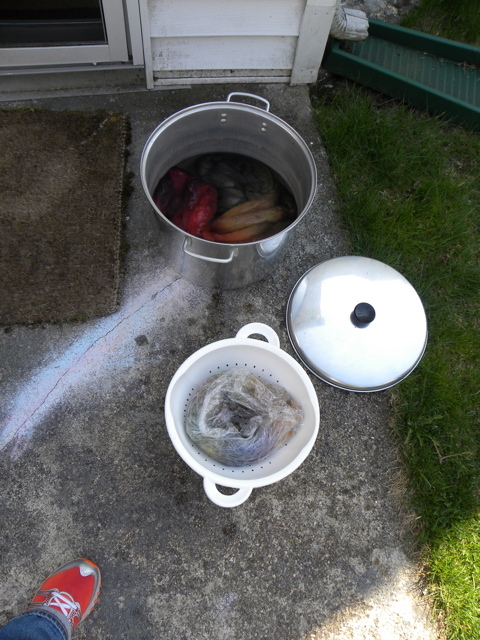 I’ve dyed it many times before, always in the way I showed you….laying it out, squirting the dye onto it, steaming it…but this time I had a better idea. 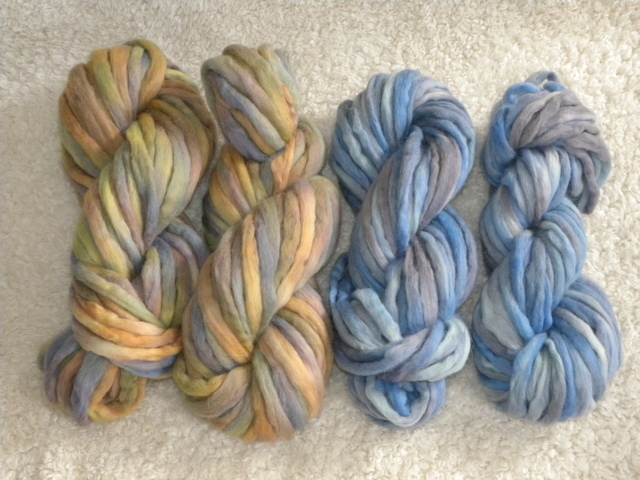 This time I decided I might get more even distribution of color if I kettle dyed it, like I do the yarn. And when they were done, I was extremely happy with the results. Squeaky, jump up and down happy with the results. I must embarrassingly admit, there was some patting myself on the back when I saw how beautiful these came out. 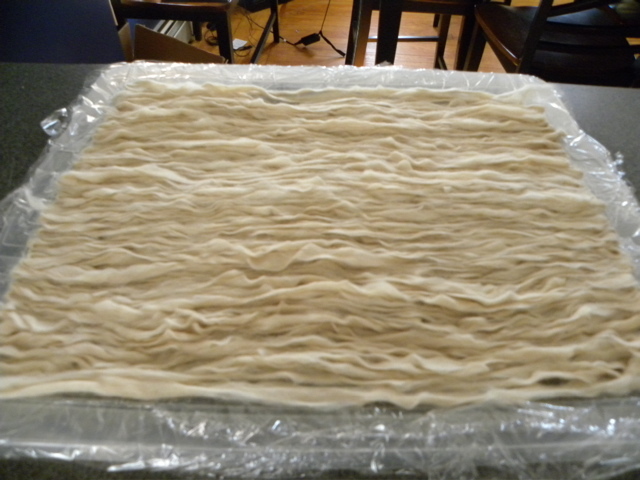 Strong color, evenly spread throughout the thick roving….I really thought I had this down. Well, I’m not completely sure, and I’ll be sure to bring them to my knitting group tonight to have the spinning experts check them out, but I’m pretty sure I felted them. MAYBE not the blue/green one, but I’m fairly sure the red/green one is useless. How? I don’t know!! I was so careful. I handle them gently. I don’t let them touch water colder than they are. 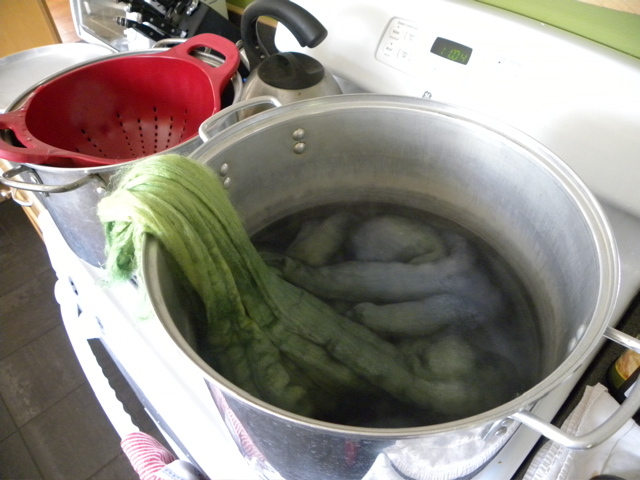 I wait for them to completely cool down in their dyebath before I even think about rinsing. What went wrong?? I’ve never had this happen when I steam the roving. My bright idea didn’t turn out to be such a good idea after all. For now, I will go back to painting the roving and steaming it. 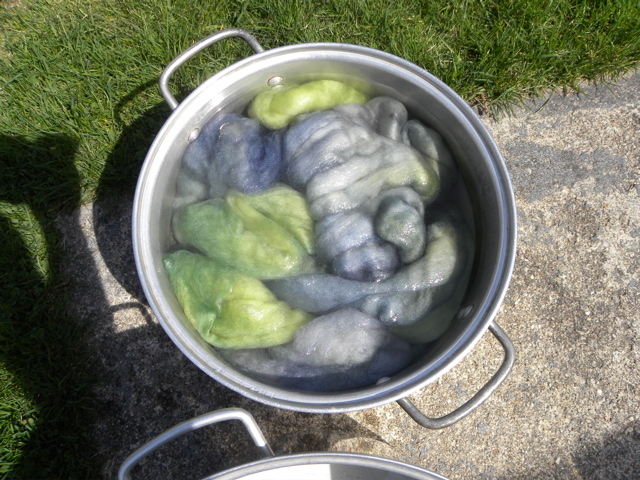 I might try kettle dyeing it again sometime, but maybe not with such expensive roving. I have more yarn to show you, including a couple specially requested skeins I dyed for an old friend, but this post is pretty long, so I’ll save that for another time. I just loved seeing this and reading and learning all about your work. I know your Gram would be so so amazed and proud of you. You really are beautiful in so many ways and it shows in all your work and your yarn. I’m glad you liked reading about it Tricia! I soooo wish Gram was around to share it all with. She’d probably fall over if she saw what I was doing, especially since I showed no interest in knitting or crocheting while she was alive. Can’t wait to see the roving tonight! what is it about those rovings that makes you think they are felted?? Well, I just got back from knit group, and the spin experts agreed with me that the red/green one is indeed felted, but the blue/green one should be ok, only a little bit felted. I could tell because the fiber became really hard to pull apart. Thank you for posting this. 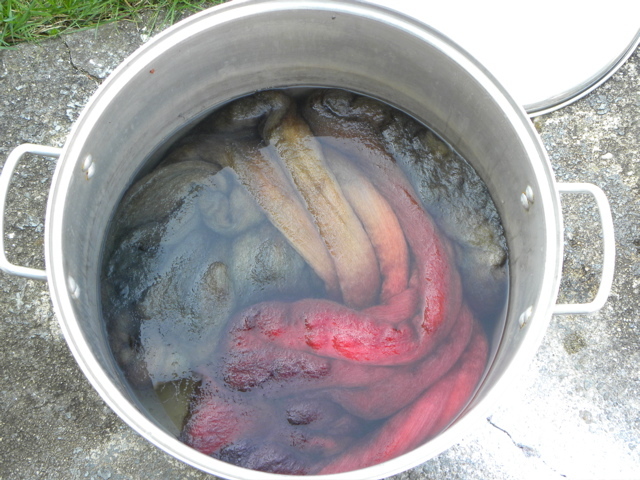 There is very little posted online regarding the felting of animal fibers during dyeing. 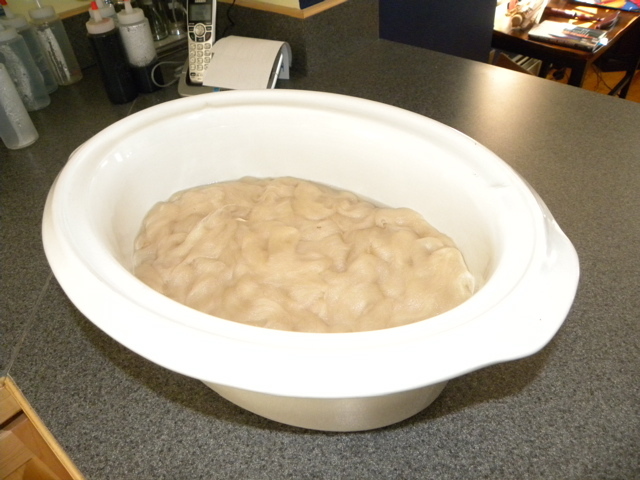 I just felted 4 ounces of alpaca fiber while dyeing it in a pot on the stove, gradually increasing water temperature, and holding at a simmer (not a boil). 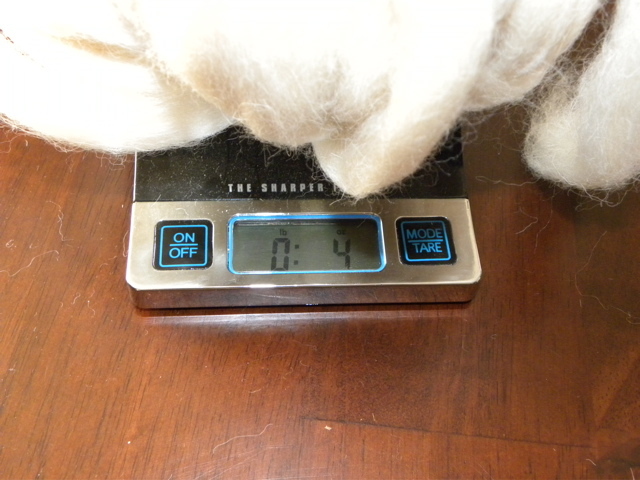 One skein is semi-felted but possibly spinnable. The other won’t be spinnable but I’ll use it for needle felting. Did you ever figure out what caused the felting? Have you tried this again? Your colors are beautiful, by the way. 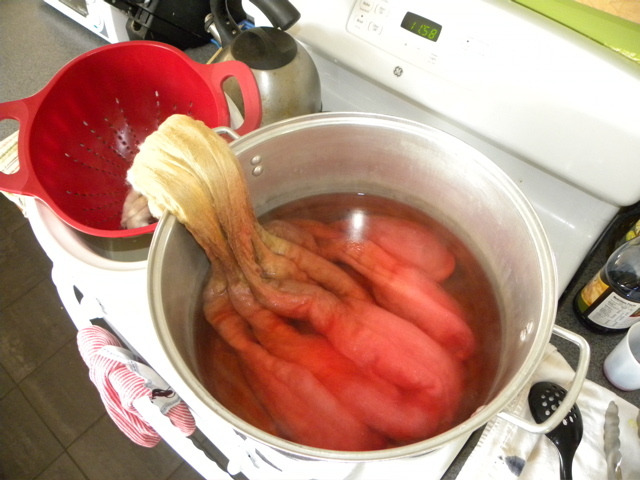 I can have troubles with my merino felting sometimes. All is not lost. It can be drum carded and the process of putting it through a carders pulls those pesky fibers apart and it makes it easy to spin. You can make batts or rolags. If you know someone with a carder try to talk them into carding the stuff you felt up.